Rural banks as white knights? From a potential acquiree, rural banks may soon find themselves as a possible acquirer this time around. In a dramatic twist of events, well-capitalized rural banks are now in a position to acquire ailing cooperative banks. 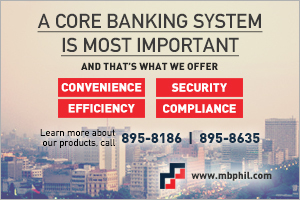 This came about after the Bangko Sentral ng Pilipinas (BSP), Philippine Deposit Insurance Corp. (PDIC) and Land Bank of the Philippines have extended the incentive program that encourages mergers and acquisitions involving coop banks, dubbed as the Strengthening Program for Cooperative Banks (SPCB) Plus. The Program now expands the eligible strategic third party investor or STPI to include strong and well-managed rural banks and thrift banks, in addition to commercial banks, primary cooperatives, and federations of cooperatives. Previously, only thrift and rural banks at least majority owned by commercial banks, primary cooperatives or federation cooperatives were allowed to avail of incentives under the SPCB. According to the BSP, the enhancement will further strengthen the cooperative banking system, boost confidence in the banking system, and improve the delivery of financial services to the countryside and rural communities. Available until September 17, 2014, the SPCB Plus will replace the original SPCB Module II, which expired on August 3, 2012. It offers a variety of financial and regulatory reliefs and incentives to improve the prospects of new banking partnerships. Financial assistance may be granted by PDIC and Land Bank to boost capital shortfalls and provide income support to the surviving banks. On the other hand, the BSP offers a package of regulatory reliefs and branching incentives for eligible strategic third party investors. Previously, rural banks are the recipients of a joint BPS-PDIC undertaking designed to encourage M&As in the rural banking industry, under the Strengthening Program for Rural Banks (SPRB) Plus, which expands the original SPRB to include strong and well-managed thrift banks and commercial banks as among the potential white knights. Among the early returns in terms of news in this regard were the acquisition by Rural Bank of Angeles (RBA), a subsidiary of Asia United Bank, of all the assets of Cooperative Bank of Pampanga (CBP), as well as the investment by Bridge Financial Services of Singapore of $24 million in rural banks through M&As, capacity building or capital raising. The SPRB Plus offers a number of financial and regulatory relief and incentives to improve the prospects for success of new banking partnerships. Financial assistance may be granted by PDIC to augment capital shortfalls and attract new investors. On the other hand, the BSP offers an expanded package of regulatory relief and branching incentives for commercial, thrift and rural bank that step forward as white knights. With these two programs in tow, pundits expect a more dynamic banking industry this 2014. Filipinos are well known for our hospitality and sharing. In fact, whenever we are eating, it is not uncommon for us to say kain na to a friend, officemate or even to a complete stranger who just happened to walk by to ask for directions. In the event of disasters, this character comes to fore in the form of Bayanihan, a communal spirit that harnesses the power of unity and cooperation and symbolized by the carrying of a nipa hut to a new location after a calamity. It is this natural kind-heartedness that has led micro entrepreneurship to flourish in the country. It is the kind of sharing that helps the poor grow and inspires others to follow by example. A number of rural banks are wholly engaged in microfinance operations. Together with some 2,000 microfinance institutions, they are servicing close to seven million microfinance clients across the Philippines and are a big reason why microfinance has flourished in the country. In his speech during the 2013 Citi Microentrepreneurship Awards (CMA) Awarding Ceremonies last December, Bangko Sentral ng Pilipinas (BSP) Gov. Amado Tetangco, Jr. said micro entrepreneurs have developed a culture of sharing. “In words and in deeds, they inspire others who aspire to better their lives through microfinance. Across the country, microentrepreneurs prove that humble beginnings can lead to success beyond their dreams and sometimes even beyond our borders,” he said. Funded by Citi Foundation, the CMA annually recognizes outstanding microfinance clients who have used microfinance and entrepreneurship to improve their lives and their communities. One rural bank that has been ardent in its support for microentrepreneurs was First Agro-Industrial Rural Bank, Inc., which was awarded the Most Outstanding Rural Financial Institution for Visayas by the National Livelihood Development Corp. during the 8th Sustainable Income for People in the Agrarian Grassroots or SIPAG Awards, also last December. As of end-June 2013, 186 banks with microfinance operations were serving over 1 million clients with combined outstanding loans of P8 billion. These microentrepreneurs have likewise become net savers, according to Mr. Tetangco, with consolidated bank deposits of P8.9 billion, an amount that surpasses their total loan. On the other hand, there are now 391 micro-banking offices that provide a broad range of financial services in new areas. A retail electronic payments system through e-money and mobile banking is in place with 30 e-money issuers working alongside a network of more than 12,000 cash-in and cash-out agents. Destructive natural calamities underscore the importance of having adequate insurance protection especially for the most vulnerable, according to the BSP chief as he stressed that microinsurance can protect the hard-earned gains of our microentrepreneurs. With rural banks in the forefront and acting as a very active proponent, regulators and market players alike are hopeful that microfinance and microinsurance will continue to thrive in the country and protect the interest of the poor. The recent symposium of the Rural Bankers Association of the Philippines (RBAP) held in November centered on relevance for this year’s theme, believing that it is high time to examine the significance of rural banking to the owners themselves, to the clients, community and to regulators. Flags of concern should be hoisted up if any part of this link, the relevance has diminished, or worse, is gone. 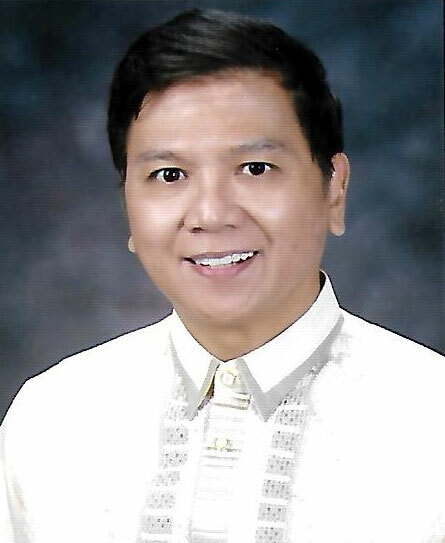 For rural banks to remain relevant, Batangas Rep. Nelson P. Collantes, who also chairs House Committee on Banks and Financial Intermediaries, mentioned in his speech the need for Congress to assess and re-evaluate the relevance and practicality of mandatory credit allocation programs such as Republic Act 10000 (otherwise known as the Agri-Agra Law) and Republic Act 9501 (otherwise known as Magna Carta for Micro, Small, and Medium Enterprises). For one, the RBAP supports the direction of Rep. Collantes’ committee as mandatory credit programs only force banks to compromise best prudent practices in order to comply with the law. Thus, the same should be gradually lowered to a certain percentage that is feasible for banks to comply, with the goal of eventually terminating its mandatory nature in order to promote increased banks’ participation in lending in the sector. Under Section 6 of the Agri-Agra Law, banks should allocate 25% of their total loanable funds for agriculture and fisheries in general, of which at least 10% should be made available for agrarian reform beneficiaries. The resultant risks associated with such mandatory loans are then hedged in the form of higher rates. As they are gradually terminated, credit risk on private banks (such as rural banks) are mitigated while participation of Government Financial Institutions, especially the Land Bank of the Philippines (LBP), on Agri-Agra lending should be increased. While the law provides that excess compliance in agrarian credit may be used to offset a deficiency in the agricultural, the RBAP proposes to allow excess compliance with agricultural requirement be applied to the agrarian requirement. Meanwhile for the MSME, there is a need to review specifically the provision mandating banks to allocate at least 8% of their loanable amount for micro and small enterprises wherein non-compliance will result in a penalty of no less than P500,000. Apart from providing infrastructure and social support from the National Government, creating a conducive environment for banks, characterized by strong incentives instead of imposing penalties, would encourage lending to the sector. In effect, this would increase productivity and spur economic activities in the rural areas and more importantly, to achieve financial inclusion. In the wake of the devastation brought by super typhoon Yolanda, the Rural Bankers Association of the Philippines (RBAP) has proposed to some government agencies several rehabilitation measures to help rural banks and their respective staff and clients get back on their feet following the debacle. In their proposal to the Bangko Sentral ng Pilipinas (BSP), Philippine Deposit Insurance Corp. (PDIC), and the Bureau of Internal Revenue (BIR), RBAP said the requested measures focus on tools that are within the capability of the each respective agencies to implement, and therefore are very much doable. For the rehabilitation of the bank’s manpower, RBAP requested for direct financial assistance beyond the limits of each affected rural bank’s BSP-approved Financial Assistance Program for bank staff, as well as exemption for each affected bank staff’s deposit accounts from dormancy for five years. For their loan accounts, RBAP proposed a suspension of interest and all charges for five years. The group is likewise asking from the BSP a one-time write-off of one existing loan per bank staff. For the rehabilitation of rural banks, RBAP recommended the immediate application of BSP’s regulatory relief measures; bank recapitalization by the BSP payable from the 5th to 15th year after the calamity; exemption from all fees due to the regulators for five years, and; extraordinary safeguarding by banks of the existing accounts of each affected rural bank, such as exemption from dormancy for five years for their deposit accounts and suspension of interest and all charges for five years for their loan accounts. In addition, RBAP requested the PDIC to grant rural banks the ability to service withdrawals up to P500,000 per client, with funds coming from PDIC. This is in recognition that loan payments may be severely curtailed affecting the bank’s cash position. 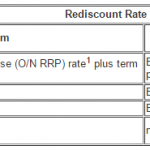 The affected rural bank will eventually repay the PDIC on a staggered basis. The Association also appealed for PDIC’s assistance in providing extension of the Strengthening Program for Rural Banks privileges to interested affected rural banks; and a suspension of its regulatory fees for five (5) years for affected rural banks. Meanwhile, from the BIR, the Association is seeking an exemption of affected rural bank staff and clients from income and property taxes for five years; An exemption from estate taxes for the surviving kin of the affected rural bank staff and clients who died from the calamity, and; an exemption of affected rural banks from all local and national taxes for five years. RBAP has expressed hope that the aforementioned proposals will be granted given the extraordinary circumstances presented in the aftermath of the super typhoon. After all, even the most ardent helpers of the poor sometimes need help themselves. Following the living nightmare that was the catastrophic effects of super typhoon Yolanda, the Philippines now picks itself up towards a long and winding recovery. The country was off to a good start, at least, after it was reported that the economy grew seven percent during the third quarter. Even if the prognosis for the last quarter of the year seems bleak after the impact of the calamity is felt, we should still stay positive. No time to be picky. We can use all the positive news that we can get. Leading the recovery brigade in Central and Western Visayas will be the rural banking industry, with support from multilateral funding agencies. Rural banks and microfinance institutions are in discussions with International Finance Corp., the private sector lending arm of the World Bank, to develop specific programs to help the private sector recover from the devastation. The World Bank is also in talks with international banks in this regard. Touched by the resiliency of Filipinos to recover from the disaster, the World Bank has increased its financial aid package from $500 million to nearly $1 billion in reconstruction support to the Philippines. In addition to the $500 million budget support loan the World Bank has earlier committed to help finance the overall recovery and reconstruction efforts in the aftermath of Yolanda, the Washington, USA-based multilateral funding agency will support early reconstruction activities with a $480-million loan for a national community-driven development project. According to Motoo Konishi, World Bank Country Director for the Philippines, communities, given proper support, can and should take the lead in their own recovery. He said this was one of the most important lessons the World Bank has learned in Aceh, Indonesia, which was hit by the Indian Ocean tsunami in 2004, and Java by an earthquake in 2006. Community housing programs for permanent shelters in these areas delivered housing faster, at cheaper cost and of higher quality. Here in the Philippines, rural banks will play a crucial role in spearheading the reconstruction efforts in the community, likewise anchored on housing development. The industry has found a reliable partner in Housing and Urban Development Coordinating Council (HUDCC), which reaffirmed government support to rural banks and microfinance institutions in housing loan activities, through the Home Guaranty Corporation (HGC) guaranty. Seventeen members of the Rural Bankers Association of the Philippines have actively partnered with the HGC to boost housing in the countryside and give the rural poor access to easy house financing. HGC’s first batch of RBAP-member partners are 1st Macro Bank, AMA Rural Bank, Banco Alabang, Bank of Makati, Cantillan Bank, Inc., Lipa Rural Bank, Inc., Mount Carmel Rural Bank, Inc., Rang-ay Bank, Rural Bank of Cauayan, Rural Bank of Guinobatan, Rural Bank of Mabitac (Laguna), Inc., Rural Bank of Pagbilao, Rural Bank of Porac (Pampanga), Inc., Rural Bank of Rosario (La Union), Rural Bank of San Jose (Camarines Sur), Inc., Rural Bank of Tanza (Cavite), Inc., and Zambales Rural Bank. Alalay sa Kaunlaran, Inc., meanwhile, is HGC’s first microfinance institution partner. The HGC, under the Guaranty Program to the Countryside through Rural Banks and the Guaranty Program for Microfinance and Small Loans for Home Improvement, extends guaranty lines to financial institutions, and secures investments for home-lending programs with the goal of encouraging financial institutions like rural banks to lend more for housing. Under HGC Guaranty Programs, the government guarantees the payment of the institution’s obligations. The same is also beneficial for both the banks and the borrowers, as the latter could avail up to 90 percent of the appraisal value of collateral property while the former are exempted from the BSP capital reserve requirement for HGC-guaranteed loans. It also freed up banks from administrative burden if a loan sours. Orientations and briefings about the HGC guaranty were conducted to rural banks in different parts of the country. By the end of 2012, HGC was able to reach 237 rural banks from 15 provincial federations in nine regions. Assistance through housing is just but one component of the overall rehabilitation efforts to aid the victims of the super typhoon in the Visayas. Major debris clean-up and large-scale infrastructures like roads, bridges, drainage, ports and water systems rebuilding efforts will have to be undertaken. These will be followed by projects that promote sustainability like long-term livelihoods, economic development and capacity building. There are many other areas that rural banks can chip in. Aside from the physical improvements, what should not be overlooked is the value of self-reliance and a sense of responsibility that rural banks promote to their clients. By arming the people from the community with this mindset, rural banks likewise impart to these people a sense of ownership to their own recovery. As Mr. Konishi pointed out, equipping typhoon victims to take the lead in their own recovery would have great psychological benefits. People’s participation in reconstruction could help lift their spirits. If there is one message the onslaught of super typhoon Yolanda has so savagely delivered to numerous businesses in the country, it’s that the debilitating impact of natural calamities has been increasingly harder to predict, much less prepare for. Climate change has rewritten the rules of Mother Nature. What used to be regarded as “un-floodable” and immune to typhoons had already been heavily flooded and rained out to submission. No place is immune, no place is safe. Perhaps now is the appropriate time to revisit a rule that adversely affects rural banks’ profitability by tying their balance sheet to the fate of agriculture, one sector that is heavily dependent on the whims of the weather. The Bangko Sentral ng Pilipinas (BSP) is already open to the possibility of amending some of the provisions under Republic Act 10000, also known as “The Agri-Agra Reform Credit Act of 2009,” saying that the mandatory credit policy runs in conflict with safe and sound banking practices. The Agri-Agra Law, which superseded Presidential Decree 717, was enacted to provide adequate credit sources for the agriculture sector that accounts for a tenth of the domestic economy. Under the law, banks are required to allot at least 25 percent of their total loanable funds for agriculture and agrarian credit. Ten percent of which should be set-aside for agrarian reform beneficiaries, while the remaining 15 percent should be allotted to agriculture and fisheries. Aside from direct lending, cash infusion to rural and thrift banks is also one of way of complying with the law, aside from investments in securities issued by Development Bank of the Philippines and Land Bank of the Philippines, investments in shares of Quedan and Rural Credit Guarantee Corp. as well as lending to construction of farm infrastructure such as farm-to-market roads. The law also metes out an annual penalty of one-half of one percent of the amount of non-compliance/under-compliance. Ironically, some banks would rather pay the fine instead of lending to agriculture at this point. Seeing this, no less than the House Committee on Banks and Financial Intermediaries Chairman Sonny Collantes said during the RBAP 56th Charter Anniversary Symposium that there is a need for legislators to review the law fearing that it might have lost its relevance. He said the House of Representatives may consider gradual reduction of the mandatory 25% loan allocation to a more “feasible percentage” or possibly abolish the 25% allocation requirement and make the Land Bank of the Philippines solely responsible for credit allocation to the mandated sectors. However, it is important to note that the rural banking industry is not running away from its responsibility to the poor, especially during these trying times but they have to play it smart. As trustees of rural folks’ hard-earned money, it is extremely difficult to be tied down to a sector that is quite literally as fair-weathered as they come. It is unfair for rural banks, as well as for their total client base, to be forced to lend to a segment that puts banks and the money of their depositors at risk. Rural banks can better serve their customers if they are still in business and not reeling from unprofitability and tied to a non-earning venture. The rural banking industry commends the kindness of those who have donated to the victims of Yolanda, as we all as praised the bravery of those who have personally assisted in the rehabilitation efforts in Tacloban and other affected areas. But right now, as far as compliance to the Agri-Agra Law is concerned, discretion is the better part of valor.